Click on the links below to read our reviews! If you have a review of your own that you’d like to submit, you can email Mark Shear or you can fill out the form on this page. I just received what I think is the last bill related to the Columbia Building and, immediately, happily paid it; thus closing out a problem that has vexed me for 4 years. As you know, this long-awaited resolution came about through your campaign to auction and successfully sell this property for me. Had I simply called you 4 years ago, I could have accomplished that much more easily, more successfully and at considerably less expense. A little background: A number of years ago, I listed this property with one of the principals of a highly regarded real estate agency specializing in commercial property. He recommended a listing price and then actively marketed the property for the ensuing 3 years. Over that time period, he secured 4 potential buyers, each of whom signed a Purchase & Sale Agreement, accompanied by the usual deposit. In each instance, the agreements never progressed to closing for a variety of buyer-related reasons, mostly the inability to secure adequate funding. When the last offer resulted in yet another no-sale, I finally came to the realization that, if I wanted to sell this property, it was obvious I needed to go about it in a different way. (I think it was Einstein (?) who said something like: “The definition of insanity is doing the same thing over and over and expecting different results.”) While discussing this with my brother, a local real estate attorney, and mentioning to him that I was considering engaging your company, he spoke highly of you as being experienced, trustworthy and dedicated. So, I called you and quickly came to know two things: 1) you convinced me that you knew exactly how to accomplish what I wanted to do; and 2) you were someone I would enjoy working with. I was so right on both scores. You immediately assured me that you would sell this property, and went to explain, in detail, what, when and how you proposed to do it. As confident as I was in you and your ability, I still harbored mixed feelings about achieving a successful sale. I was now going into my 4th year of owning a vacant, expensive property and was concerned that this situation might not be satisfactorily reversed any time soon. However, you were always optimistic and bolstered my confidence. Throughout the execution of your thorough marketing campaign, and right through the morning of the auction, you kept me fully informed, and that was always reassuring. I especially appreciated – and enjoyed – your frequent phone calls, emails and texts, all keeping me current right up to and including a call during the auction event and again immediately following the successful sale of both parcels! Mark, you accomplished everything you said you would. I’m certainly grateful for that, of course, but I’m even more appreciative of the manner in which you went about the whole process. My brother and I have been caring for our elderly parents for the past four years. After we moved them into assisted living, it became time to sell the house they loved and have owned for 58 years. There were many conflicting issues for us to consider and Mark Shear was right there to help us understand these issues and offered interesting ways for us to think about them. The biggest issue was location. When my parents purchased the house, it was across the street from a wonderful park that we used to walk through to get to school every day. Today, access to the park is blocked by a super highway with a large fence, lots of noise and traffic coming down the little street we lived on. My brother and I only saw this as a problem. But Mark made it clear that, yes, there’s traffic on this street, which might be a problem for some. But the location is terrific and right where a lot of people want to live. And he was right. Mark worked very closely with the company we hired to organize and empty 58 years of stuff and he was instrumental in getting the house ready for sale. He’s also terrific with a camera and made the house and rooms look really great without retouching (FYI, I’m a professional photographer). After Mark examined the house inside and out, he could see it needed a lot of work, including a very old furnace. He suggested that we leave the house the way it was, and sell it “as-is” via Auction-By-Choice – so that people could look at the house, determine what they wanted to/could pay for it, and then come to the auction at the end of the month to compete against the other participants. Mark conducted the auction himself, and through this Auction-By-Choice approach, we ended up with the price we wanted to get for our parents. The entire experience of working with Mark and Deb at Berman Property Solutions was very smooth and without stress! They are kind and generous and knowledgeable and determined and very patient. I would recommend Mark and Deb and Berman Property Solutions with no hesitation and a lot of enthusiasm. 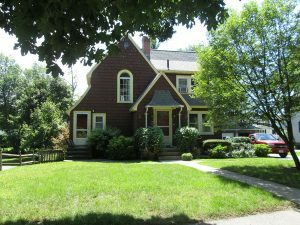 After more than 50 years, my father decided to sell the home that he and my mother had shared – a lovely English Tudor on a good size parcel of land across from Indian Lake in Worcester. Over those 50 years, the items of living had accumulated and, of course, all of the memories. The process of moving was going to be a challenging one, both physically and emotionally. Living over 2,600 miles away, I wasn’t able to be of “on the ground” assistance to dad as he made this decision, and then had to accomplish all of the tasks that flowed from that decision. I feel very lucky to have a wonderful childhood friend who suggested that I reach out to Mark Shear at Berman Property Solutions. Thank goodness for that suggestion! Mark stepped in with kindness and patience to help a stranger through a very difficult process. Mark’s combination of industry knowledge, in-depth understanding of the city and region, as well as his kindness and compassion, helped dad and me – from the initial decision to sell the house, right through to putting his things on a moving van to Arizona. 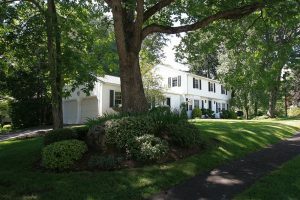 With the work that Berman Property Solutions did to prepare the house and market the property, the sale was conducted through an Auction-by-Choice and the house sold at a price that we were more than pleased with. Not having much knowledge of the real estate industry, the idea of an auction was initially very off-putting to us. Mark took the time to walk through all the steps with us and answer all the questions that both dad and I had, which made us comfortable with the Auction-By-Choice approach and having Mark at the helm. Mark went above and beyond what could be expected when contracting to sell a home. Far more than just “selling a house,” Mark was there for us through a challenging and bittersweet six-month process. I couldn’t recommend Mark & Deb from Berman Property Solutions highly enough!! Several months ago, my children “suggested” that it was time to sell my beautiful 1,600 square foot townhouse in which I had lived for over thirty years. Having just had a “major” birthday, I also agreed that it was time to downsize. My home was filled with stuff that I had collected over a lifetime: my stuff, my kids’ stuff, my mother’s stuff, and other family members’ stuff. I do not use the word “stuff” lightly. It was serious business. The house needed work, a new kitchen to be specific, as well as new plumbing and fresh paint. It had become my albatross. I did not want or need condo-fees, taxes, or assessments whenever the development decided to do some redecorating, and I especially did not need two sets of stairs. I didn’t need anything that it takes to keep a trendy home. With that, I didn’t know where to begin until Berman Property Solutions came into my life. Other realtors would not handle the house until I upgraded it. According to them, it had to be pristine in order to show it to the public, which I had no intention of doing. Except for the collection of a lifetime, the house was clean and orderly. I heard that Berman Property Solutions had handled a home nearby. Although there was no urgent need for that owner to get out quickly, that is what he wanted to do. With the help of Deb and Mark from Berman Property Solutions, that house sold for a fair market price in a quick timeframe. That is exactly what I wanted to happen with my home. It was November of 2017, and Christmas was right around the corner: not a good time to expect a house to be sold quickly. Deb and Mark listened to all my requests and recommended that I advertise my townhouse as the beautiful home that it was, at a fair market price. They assured me that an auction could be held at a future time if my condo didn’t sell in a timely manner. There was no set deadline, but Berman Property Solutions knew that, for me, I wanted it to be done quickly. By the second week of December, the house was put on the market. We received three offers the first week, including one cash offer, with the stipulation that the house would be closed before Christmas. Deb and Mark managed the whole process, which happened quickly and efficiently. They understood how traumatic this process was going to be for me, and kept reassuring me that it was the right thing to do and the right time to do it. They also supported me by telling me how lucky I was to be in this position (where I had 3 offers to choose from within days of putting my home on the market). Thankfully, I was fortunate enough to have found a lovely apartment all on one floor and, above all, I felt lucky to find a way to have peace of mind. So, thank you Deb and Mark from Berman Property Solutions. Deb and Mark from Berman Property Solutions were on top of every detail! They explained the ins-and-outs of selling a home, provided check lists, called to give updates, and most importantly… gave me and my mom (who just recently transitioned to senior housing) confidence that everything would be done right. The process went smoothly from start to finish. Deb and Mark’s research into recent sales in the neighborhood and conversations with buyers’ brokers resulted in multiple offers, one substantially higher than asking price! And all this within two days on the market. Many thanks for all your efforts and the success it brought. Berman Property Solutions was able to list and sell my home in a quick and efficient manner, getting the best price in the market. Mark and Deb Shear were thoughtful in their approach and were thorough in evaluating my needs and moving forward with a plan that made sense for me. I would recommend them without reservation to anyone looking to sell a property. Berman was very effective. I needed my house sold quickly. They were very thorough and followed my directions. The house was sold/closed in 7 weeks. I would highly recommend them. Berman Property Solutions has enabled us to achieve superior results in three different transactions. In each case, they recommended multiple strategies and worked through the pros and cons with each. Once the strategy was decided, they executed flawlessly, and we achieved the desired outcome. The latest transaction they facilitated was the sale of our rather unique home. Berman Property Solutions was able to generate numerous showings in a short period of time and we received multiple offers, including offers above the listed price. Throughout the process, they provided timely communication and kept the deal on track. Ultimately, the house was sold for full price and without any drama. We would highly recommend Berman Property Solutions with any of your real estate needs and will always rely on them for our needs. Serving as trustee for a decedent estate, I was entrusted with the responsibility for fulfilling the wishes of my client – regarding his real estate and personal property – upon his death. As a trustee, I have a fiduciary responsibility for ensuring that a decedent estate is handled in a way that will bring the heirs fair market value for the property in the estate and will not be contestable. Like many professionals these days, I have a very busy schedule. I was concerned about the time and effort it would take to manage all of the details required in liquidating the real estate and personal property associated with my client’s estate. I reached out to Mark Shear of Berman Auctioneers and Appraisers (now Berman Property Solutions) for a consultation. He listened carefully to my goals and needs, and proposed a customized solution for this unique situation. I hired Mark to be my main point of contact, to coordinate with someone who could manage the sale of the personal property, and to sell the real estate via his proposed hybrid method – where we scheduled an auction and offered the real estate via the traditional method (with a “buy-it-now” price) at the same time. Mark was a wonderful partner on this project. He was organized, communicated extremely well throughout the entire process and coordinated the personal property sale with the sale of the real estate in a seamless way. When we learned that the septic system failed, Mark moved into problem solving mode. He delivered a buyer who presented a very attractive traditional offer and was able to be flexible while the septic issues were being resolved. 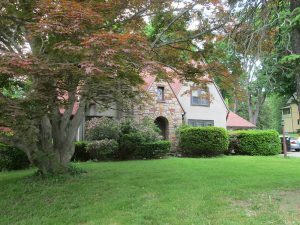 This was exceptionally valuable because we were able to consummate the sale in a timely fashion, and not have to hold and maintain the property over the winter. I was very pleased with both the process and the outcome of this project, and highly recommend Mark Shear of Berman Property Solutions. He effectively serves as a main point of contact, is professional, an excellent communicator, a problem solver, and delivers results that exceed expectations. We were thrilled with the level of guidance and service, as well as the process and the outcome, of the work that Berman Auctioneers /Mark Shear delivered on the sale of Carl’s mother-in-law’s home and real estate. On a scale of 1 to 10, we would rate Berman Auctioneers a 9.5. (That’s only because we don’t believe in giving perfect “10’s”). The process and the outcome far exceeded our expectations! We would use Mark Shear and Berman Auctions again for future needs and HIGHLY recommend them. Carl’s mother-in-law was ill for a very long time. During that period, we had to care for the house as well as provide care for her. When she passed away, our energy was zapped. We were done with taking care of the house. Our goal was to be done quickly with the best results. The contents needed to be dealt with, and we wanted the house itself sold “as is”, without additional time, effort or money spent on fixing it up. Through a search on the internet, we found someone who could deal with the contents; he referred us to his trusted colleague, Mark Shear of Berman Auctioneers, for the sale of the real estate. Although we knew that Mark was both a Real Estate Broker/Realtor and Auctioneer, he suggested an auction event to best meet our particular goals. The level of service and guidance that Mark Shear provided was amazing. Mark “took care of everything”! He took on our burden and made the process easy for us, which was a relief after the long period of stress tending to our mother-in-law’s health needs and her home. We felt a sense of confidence and trust in Mark from his extensive knowledge and 25-plus years of experience. He thoroughly explained the process to us and patiently answered all of our questions in layman’s terms. He clearly and frequently communicated with us throughout the process leading up to the auction, which gave us great comfort along the way. Mark coordinated with the professionals responsible for the sale and disposition of the contents to create an exciting event that encouraged and invited participation by buyers for both the home and its contents. The outcome of the real estate auction exceeded our expectations, due to the expertise and attention to detail of Mark Shear. 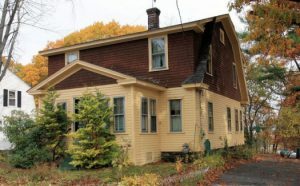 The property sold for $46,000 more than the minimum bid. It was a cash deal and closed in 31 days. Our experience working with Berman Auctions has debunked these myths. We did not have a distressed home to sell and the property was not in foreclosure. Through working with Berman Auctions, we received more money from the sale of the house than we expected and/or that we would have accepted. And, the sale was closed in 31 days under our terms of sale. We would use Mark Shear from Berman Auctions again, and would highly recommend him for the sale of real estate by auction, traditional or any other method that Mark suggests based on his vast experience. Mark Shear is GREAT!! When we decided to sell our home in Webster we did what everyone would do – we brought in a couple of local Realtors. They wanted to LIST our house for $365k and be willing to accept $325-$340k. Mark came in and auctioned it for $425k!! That was $85k more than the realtor’s best scenario and $60k more than their suggested asking price. Mark handled it all from start to finish. I would highly recommend his firm to handle any real estate transaction you have. Thanks again Mark! For almost 15 years my mother lived two houses down the road from me. I saw her almost everyday. She saw her grandchildren and my extended family very frequently. It was the perfect place for her to be. We have so many warm happy memories of her living there. Unfortunately, her health took a rapid downward turn. She was in Hospice care for under a month before she passed away. I cared for her in her warm loving home, with family, friends and nurses stopping by to help me one last time do whatever she needed me to do. After she passed she left me her home in her will. I know her intention was to leave me something I could sell or rent or keep for her grandchildren should they need it. Maybe even hold onto it until I was ready to downsize? Of course she gave me an incredible, meaningful gift…. but I was unable to appreciate it at the time. In fact I couldn’t really do too much of anything with it. I was grieving and helping my family navigate our tremendous loss. The phone calls with her executor, accountant, lawyer for her estate left my head spinning. I would take the long way around to get to my house so I wouldn’t have to drive by her home…mine now. To say I was overwhelmed would be an extreme understatement. I was completely paralyzed… now with another house… utilities… lawn care.. maintenance… property taxes etc. Then I spoke with the staff at Berman. They were able to talk me through my options in a compassionate and patient way. They explained if I sold what price I could expect. What I could get for rent, how I could manage the property. Things I never thought of. This helped me decide if I should sell or try to hold on to it. I ultimately listed the home for sale with Berman. They worked with the lawyers and handled everything. I was calling the shots, but they cut the red tape and dealt with all the mailings and phone calls and the showings. We sold the house, got the price I wanted and used the money in many different ways that have helped my family immensely. I know my mother would be proud. I just want to express our appreciation for the successful auction that you and your staff conducted. I had not been to an auction and was somewhat reluctant. I was surprised and very pleased at how smoothly it went and how very well it was organized. I realize that a great amount of work and detail were involved. All of your staff were extremely pleasant, organized and fun to have around. You did a super job and the outcome was beyond my expectations. A great big thank you to you and your staff. 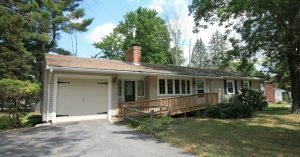 The home sold was one my mother had lived in for over 85 years before moving to assisted living. 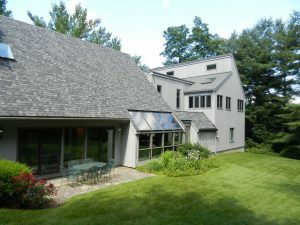 The house was in need of repair and extensive updating. An auction seemed to be the most promising option for a quick and efficient sale of a property that had potential but would not be appealing to most buyers. Selling the home of a family member long distance in a stressful situation requires a relationship of trust and a commitment to communication. Through the entire process, from initial consultation through closing, Mark was honest, realistic, well organized and completely professional. I particularly appreciated his diligence in solving some unanticipated problems that cropped up along the way and keeping me informed. The outcome was more than satisfactory and peace in the extended family was maintained. I would heartily recommend Mark Shear and Berman Auctions to anyone looking to sell a difficult property in the least amount of time, for the most money, and with minimal hassle. 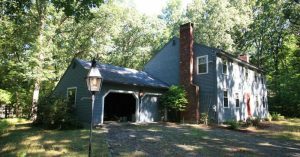 I hired Mark Shear from Berman Auctions to sell a waterfront property in Pelham, NH. The property had been in my spouse’s family for many decades and it was an emotional time after she passed away. Mark was the consummate professional and made the sale of the property and its contents as easy as it could possibly be. From the beginning of the process, Mark was forthcoming with information about how to proceed. He handled all aspects of the sale and knew exactly who to refer me to for aspects of the sale that would not be in his realm of knowledge (legal, financial, etc.). 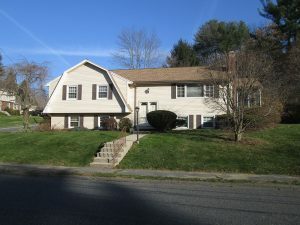 Through Mark’s professionalism and expertise, the property was sold for a higher amount of money than I had hoped for. His services did not end after the day of the sale. Mark took care of all related paperwork and closed the sale in a timely manner. I would have no hesitation in enthusiastically recommending Berman Auctions!